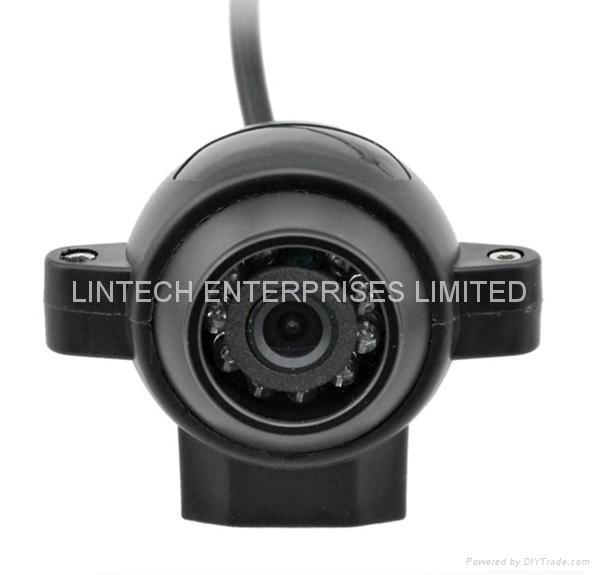 Lintech supplies camera systems for forklifts, reach trucks, and other types of industrial trucks used for lifting. 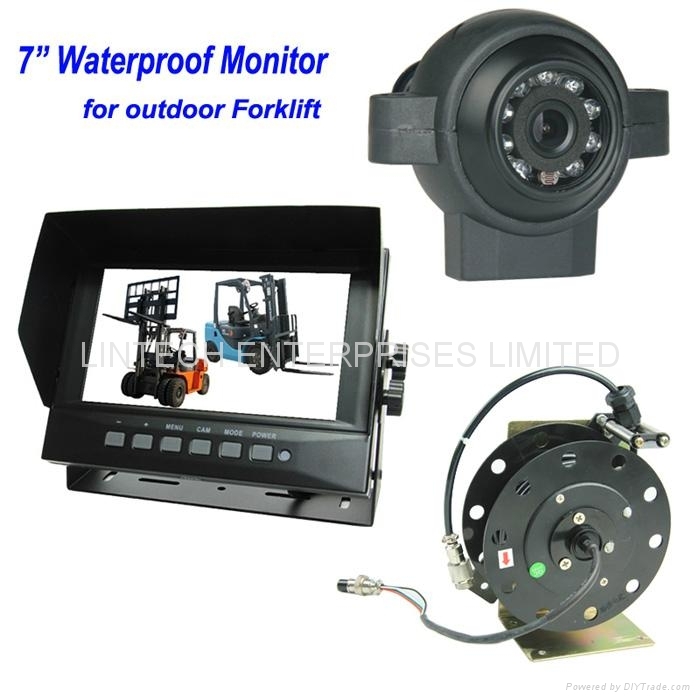 Lift truck operators work every day in situations where their vision is limited. Limited vision, whether at the fork tips, or behind the truck, increases handling times. Limited vision may also result in dropped loads, damaged goods, bent racking or picking the wrong pallet. In addition, OSHA has linked operator fatigue, repetitive stress injuries and absenteeism to operator back and neck strain while working overhead. The problems caused by limited vision are widely recognized in the industry. 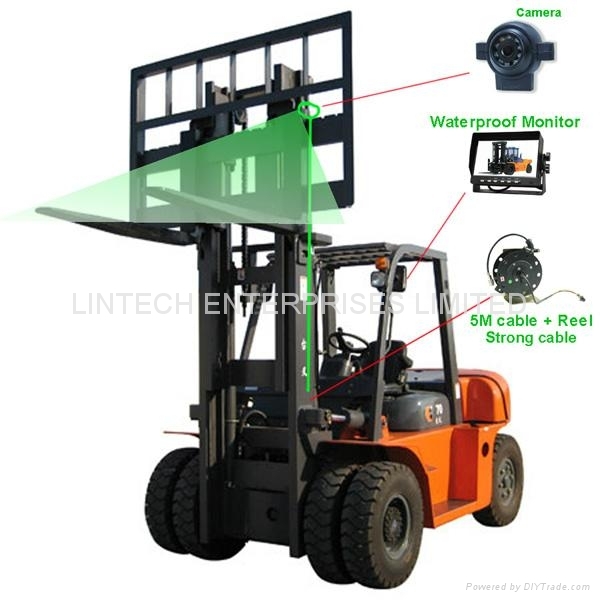 But limited vision problems can be solved on many machines – using a Lintech Lift Truck Camera System. 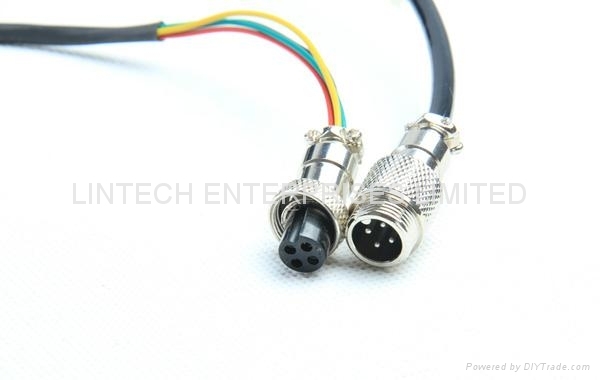 (13)Operating temperature: -10 ~ +50 degrees. 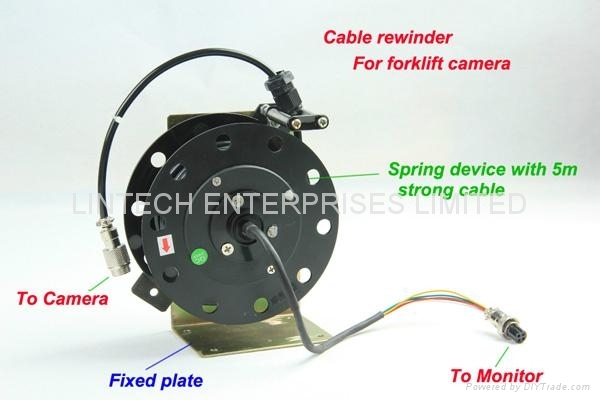 --2mm Strong metal fixed plate. --Special made for Forklift use. --For Outdoor / warehouse use.